As?your local?independent garage we can offer all the skills and services found in a franchised garage but without the restrictions and inflated prices. All repairs and services are carried out in?accordance with the manufacturers specified and recommended times for each job. Additionally we will never carry out repairs on your car without your prior consent. We offer high skill levels built up over many years in many different garages and brought together under one roof. 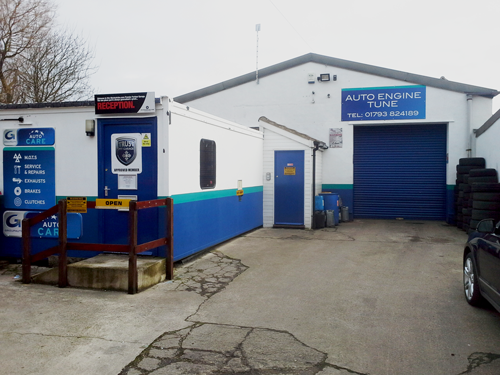 As well as the usual services such as servicing, MOT's, repairs and tyres we also have the technology and computer aided fault diagnostics for petrol & diesel vehicles. For prolonged repairs, or for your convenience, we have courtesy cars for which there is no charge. We are an AutoCare garage and are members of the Retail Motor Industry Federation, the Good Garage scheme, Trust My Garage and Approved Garages. Welcome to Auto Engine Tune. We are a local, independent garage, serving Swindon and the surrounding areas.